We have been providing our end of tenancy cleaning service to many tenants and landlords in Willesden and Neasden, London. If you have been looking for an established cleaning company and going to move out of your house or office then try out our expert services. We will deep clean the place and help you make the place look beautiful and hygienic. 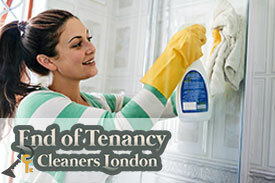 We have mobile teams that specialize in end of tenancy cleaning and serve the clients in different areas of London. The team consists of trained professionals who are experienced and use modern equipment. The chemicals used by them are bio-degradable and guarantee an effective cleaning for your place. We treat your place as our own and understand the importance of an effective end of tenancy cleaning service. We will not disappoint you and try to make sure that you get the value for your money. Most of our clients have been satisfied by our services and you can have a look at the testimonials on our website. We provide fully guaranteed services and have priced our service at competitive prices. Along with our professionals we have prepared a check list of the standard service required for an effective clean. Our professionals follow that method and use it during every end of tenancy cleaning service. Our tenancy cleaning services in Willesden has a guarantee of 48 hours. It means that if the landlord or the property estate agency is not satisfied with the cleaning standards will will send our team to re clean. I am completely satisfied by the perfect tenancy cleaning provided by your company and definitely will recommend them to everybody. They proved to be professional, qualified and polite!